The Northern Manitoba that we know today began to emerge from retreating glaciers about 8,000 years ago. And in the North, the evidence of those giant sheets up ice – up to 4 km thick - are giant deposits of sand and gravel left behind from meltwater channels inside the retreating glaciers. These sandy ridges, called eskers, are a defining feature of Manitoba’s far North and were often used as travel corridors for Indigenous people and wildlife. See these eskers on an eco-adventure with Ganglers Eco-Adventures. The retreating glaciers also shaped another defining characteristic of the North, the irregular rocky surface of the Canadian Shield. Running from Manitoba’s southeast corner across most of the North, this northern attribute dates back to between 2.5 to 4.2 billion years old. Enjoy the view from nearly any vantage in the North – there are a few spectacular ones, like the easily-accessible viewing platform at Pisew Falls Provincial Park. The origin story for this northern town on the boundary between Manitoba and Saskatchewan is based around its unique name. The town is named after Josiah Flintabbatey Flonatin, the leader character in The Sunless City by J.E. Preston Murdock, published in 1905. Josiah pilots a submarine through a gold-lined hole in a lake, passing into a strange underground world. Prospector Tom Creighton thought of this book when he came across high grade copper, calling it Flin Flon’s Mine. The town that developed around the mine in 1927 adopted the same name – making it one of only two towns named after characters in novels (the second is Tarzana, California). A statue of Josiah Flintabbetey Flonatin that stands proudly in the town was designed by cartoonist Al Capp. After snapping a pic with the famed statue, follow Flinty’s Boardwalk for a scenic view of the town surrounding Ross Lake. This town 1,071 km northwest of Winnipeg is the province’s fourth largest town in terms of land area. This town actually got its start in a completely different location. After the copper ore in the town of Sherridon was nearly depleted, the mining company send out prospectors to find another site – and low and behold a deposit of nickel ore and then gold was discovered. So most of Sherridon’s 208 houses and buildings were moved in the 1950s. The buildings’ foundations were dug out and they were loaded on to winter freight sleighs pulled by Linn tractors and caterpillar crawlers. And while the mine was shut down in the 1990s, today the town’s mining history is preserved at the Lynn Lake Mining Museum and it offers great access to outdoor adventures on the nearby lakes and at Burge Lake and Zed Lake provincial parks. 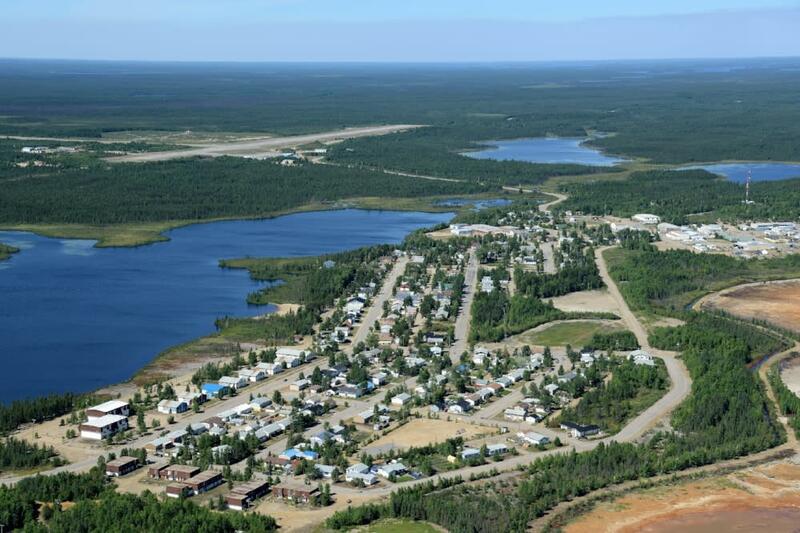 This “instant town” was developed as an experimental model for other northern communities – linking modern conveniences with the northern environment. 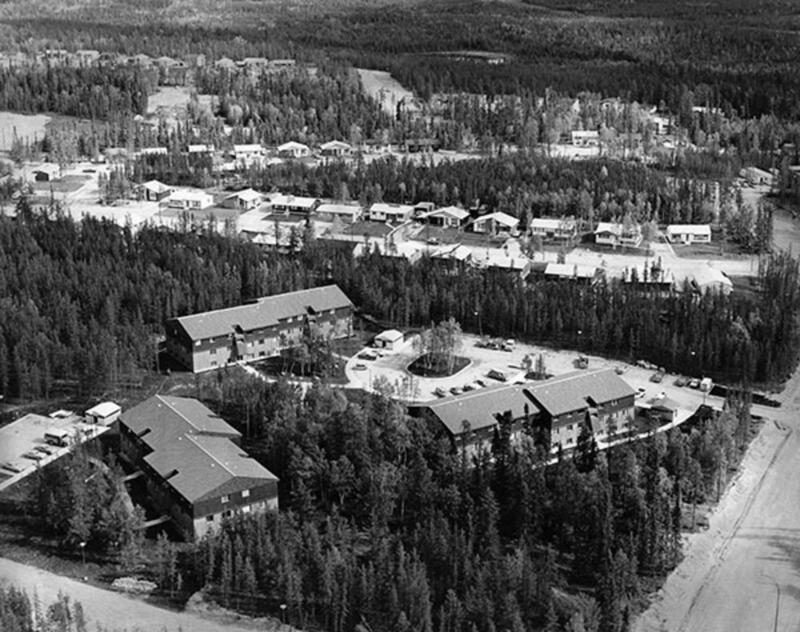 The town was established at Ruttan Lake after a mine opened in 1969. The first residents arrived in 1971 and the entirety of the town’s infrastructure was finished by 1976, with a population of over 2,000. The town was built with the intention to protect and preserve the natural vegetation. In fact, even today you still need a permit before cutting down any tree in town. And in 2007, Leaf Rapids was the first Canadian municipality to ban plastic bags – a testament to its nature-first mindset. The town was designed around the Town Centre Complex, a one-stop-shop for the community’s needs, with houses built in a semi-circle of bays around it. The award-winning complex was built from a material that was supposed react to pollution in the air and turn into a bright blue colour. But due to the purity of the air in Northern Manitoba, the complex has remained its original rust colour. Check out this unique community on the way to an incredible fishing excursions for northern pike, walleye and rainbow trout on the region’s isolated lakes – word is Turnbull Lake is an ice fishing hotspot. 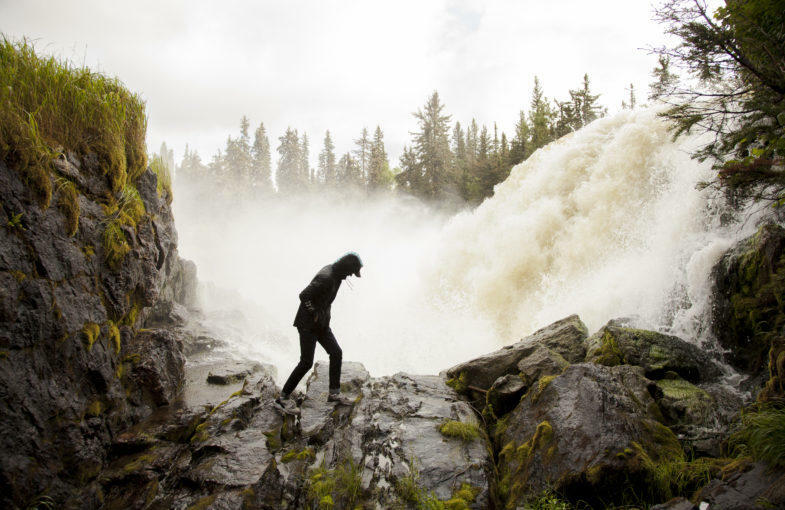 Or you can venture to explore the nearby Churchill River with its rapids and falls as it heads towards the Hudson Bay.